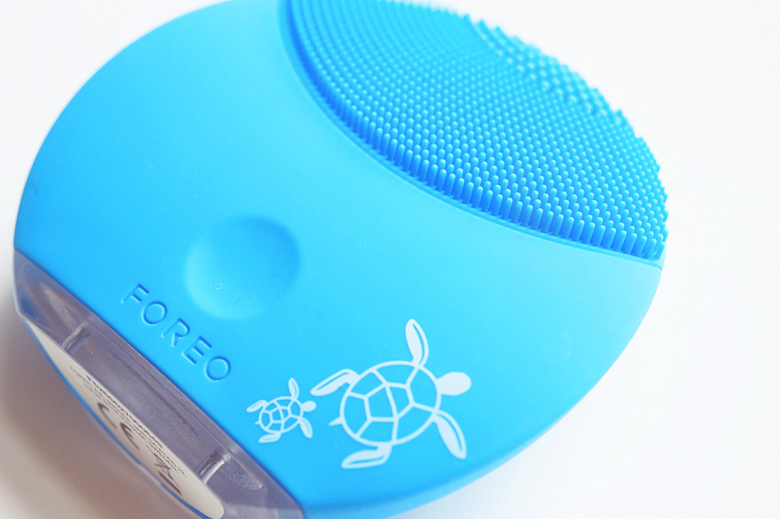 Thoughts on the Foreo Luna Mini. 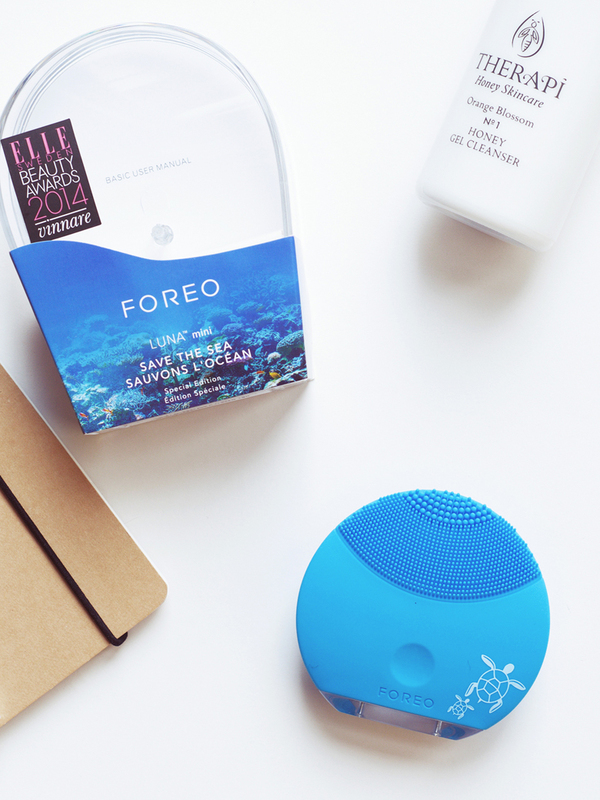 I was recently asked if I still use my Foreo Luna, and the answer is yes! When blogging I write out lists of blog posts I plan to write and then cross them off as I go, starting a new list whenever it gets messy with crossing out (because I can never make it to the end of a list without wanting to plan a fresh new one) and "Foreo Luna Review" had been shuffled onto the next list, and then the next list, and then the next list for what feels like months now, so, I'm truly sorry! Today is the DAY. I honestly have no clue how long I've had the Luna now, many, many months. I could probably do a quick search on the blog for when I originally mentioned it but the sun is shining so brightly I can't see my screen and I'm typing without looking at it because I'm totally in. the. zone. You know, I haven't even had to charge the Luna yet, granted I haven't used it every day in the past 2-3 months but that's still amazing and a huge selling point if you ask me, this thing lasts and lasts (I think it's about 300 uses before needing to be charged!). Never heard of a Foreo Luna and wondering what that strange alien blue thing is up there? The Foreo Luna is a sonic cleansing device, using over 1300 soft silicone touch points to cleanse skin. The device runs for one minute (it doesn't actually stop after the minute but pauses for a second to let you know you can stop now) and up to 8000 sonic pulses are channeled through the silicone to dislodge dirt, skin cells, oil and makeup. It sounds like a gimmick but withing 48 hours you'll probably have the same reaction as I did when looking in the mirror that goes something like this: *gasp* "my skin is looking so smooth! *touches it* "so soft!" after a week, of once or twice daily use, things start to get really good, and it's only up from there really. I honestly had no idea what to expect when using this but it's genius. Skincare absorbs and works more effectively and makeup applies better than before. Unlike cleansing brushes with bristles, the foreo luna is as gentle as can be, you literally can't overdo it with this and it feels like a mini massage each time. The luna can be used with any cleanser but my favourite was the Josh Rosebrook Moisturizing Cleanser because it's silky and has great slip for moving the device around, but doesn't foam or emulsify with water. This also works well with cleansing oils to really get in there and remove leftover makeup, cleansing gels, balms or creams. It makes any cleanser (except those with clay or scrubby bits) work that much harder to truly cleanse skin without leaving it red raw like a brush. 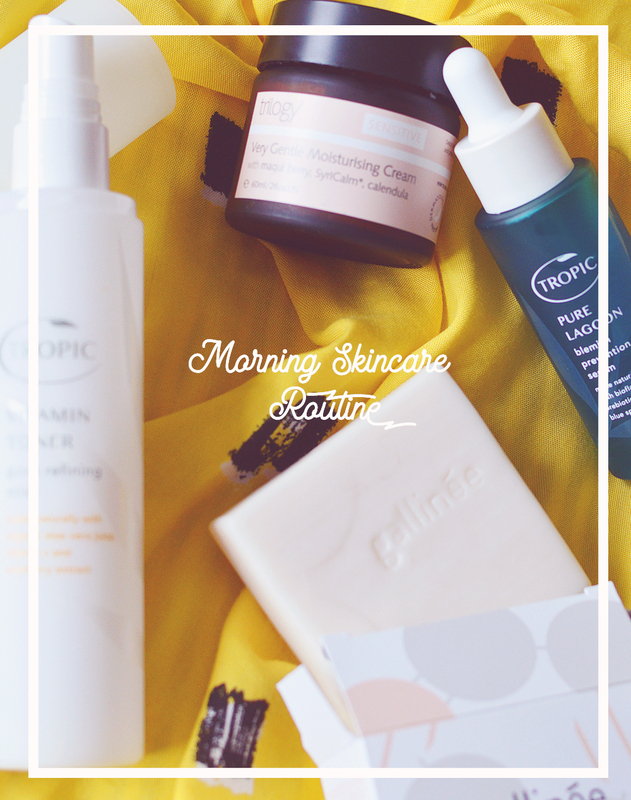 You can also use this to help your skincare absorb! If you forgot to use it when cleansing you can turn it on to the slower setting and run over skin after applying your serums, oils and moisturisers to help absorb in a way that the push and press technique never could. To keep clean simply wash with soap and water after use, the silicone is antibacterial too and very sturdy, mine still looks brand new. The device is also completely waterproof which means you can store it in the shower like I do without batting an eye. The small size is also great for travel and it's super light too. I remember when I first started using the device I found the curved shape to be strange and how you had to work to manoeuvre the device around in different ways to get each nook and cranny, but with time that becomes second nature and you don't think about it all. Suitable for all skin stypes the Luna helps with breakouts, blackheads, dry skin, uneven skin tone and more. I read that a few people experience 'purging' at first when using this, but I never did so can't comment on that. There's now a Luna 2, which has longer silicone bristles and a few different settings, but I think that's just a bit of marketing to get more sales, stick with the original... it's cheaper after all! The Foreo Luna Mini comes in a bunch of different colours, I really like this tiffany style turquoise-blue, and the grey is very sleek,. You can also save 15% at the moment from Look Fantastic with the code 'europe' and their delivery is free worldwide! See all original Luna's here.